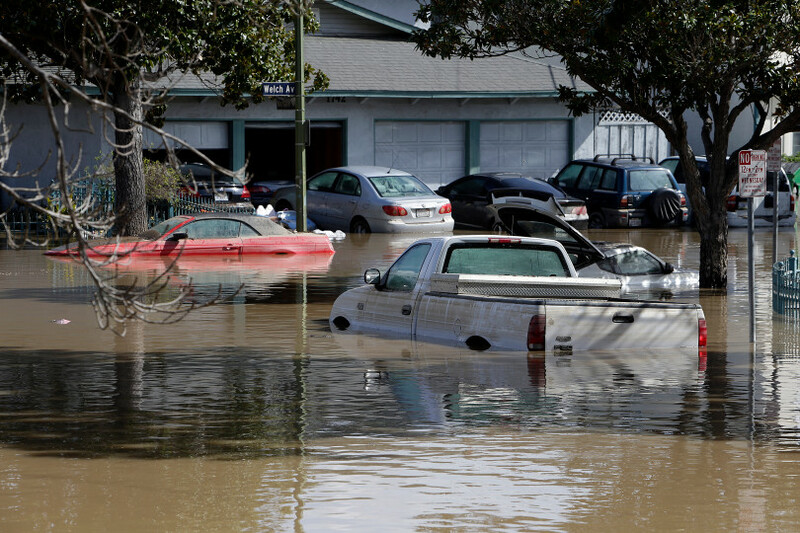 Some 50,000 residents have been urged to leave their homes in San Jose as northern California continues to deal with record flooding. 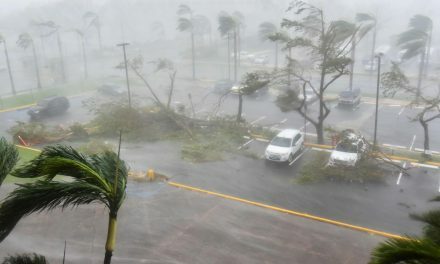 The mayor of the city came forward Wednesday and acknowledged that residents were not properly notified to evacuate during the emergency. 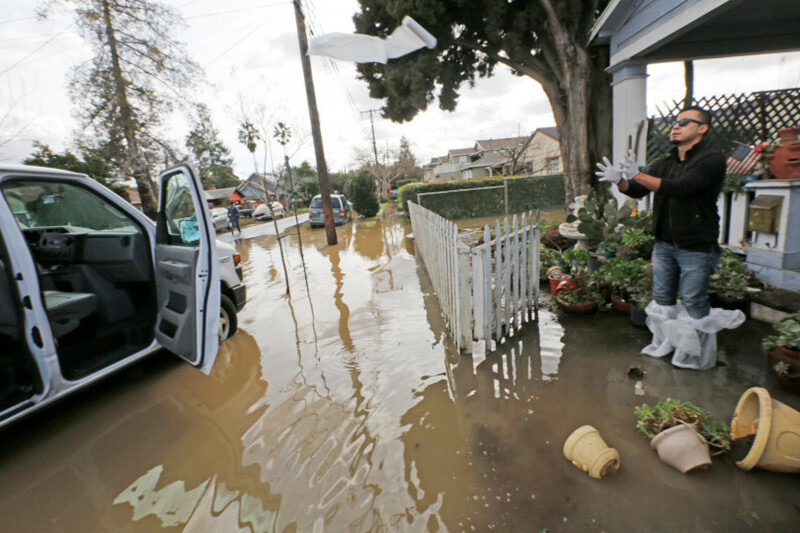 Resident Sandy Moll said she had prepared for about a foot of water, but the flooding spilled over sandbags stacked 3 feet high and broke down her back door. 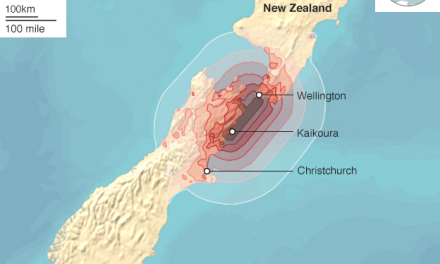 Moll told the Mercury News that she was angry at the lack of warning. 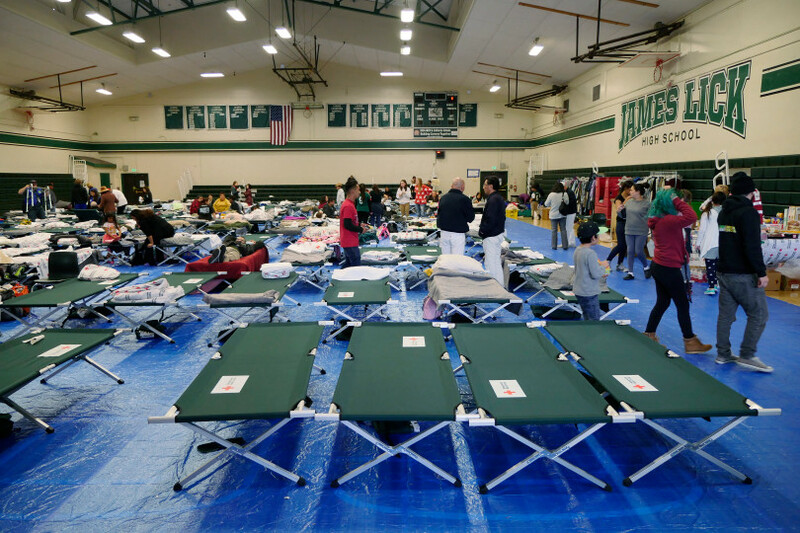 According to ABC7, the Emergency Operations Center says 36,000 people in San Jose are in the recommended area for evacuations, while 14,000 are in a mandatory evacuation area. 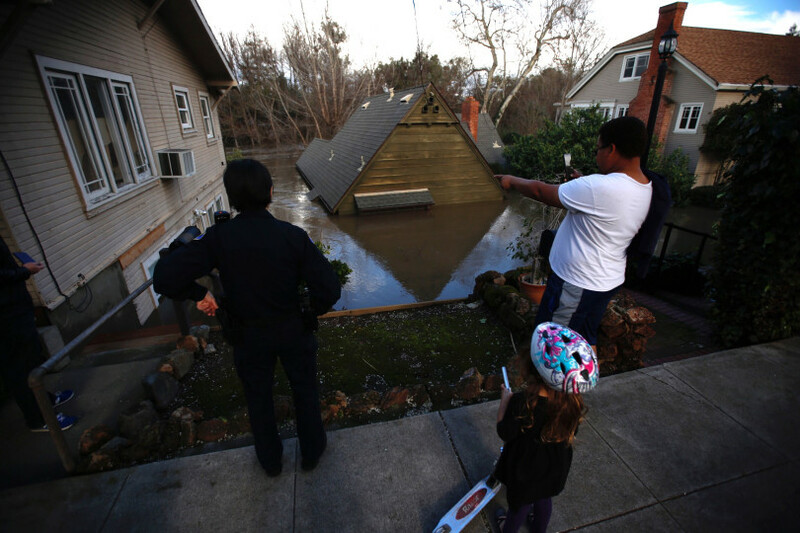 The Coyote Creek in San Jose reached a 100-year high during the storm this week, reports AP. 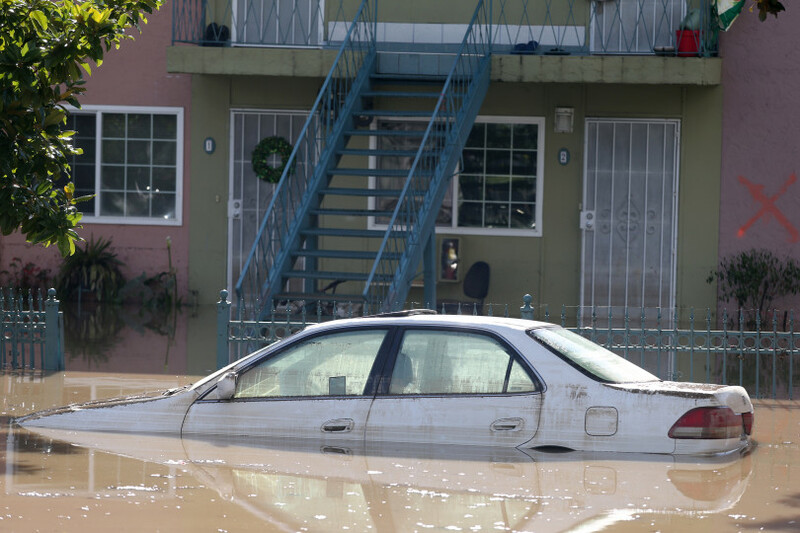 Wednesday officials said they did not anticipate this level of flooding because their stream flow model showed the channel could handle the water without spilling over. 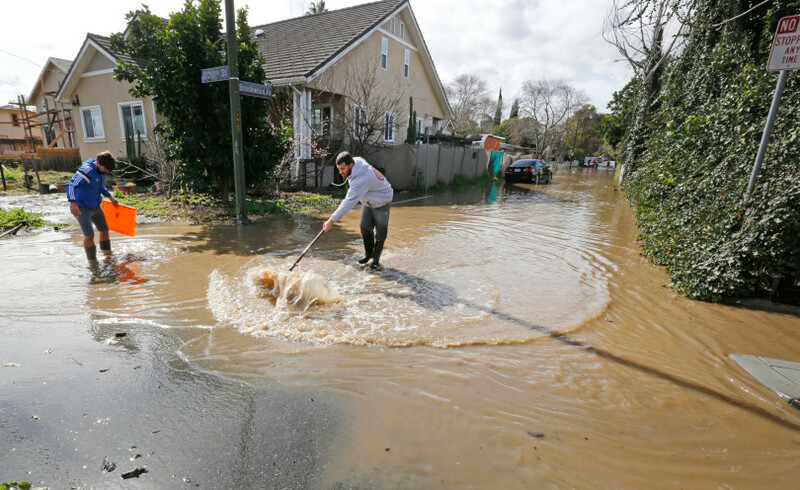 City spokesman David Vossbrink said that officials were relying on the water district’s model to determine when the creek would rise and where. 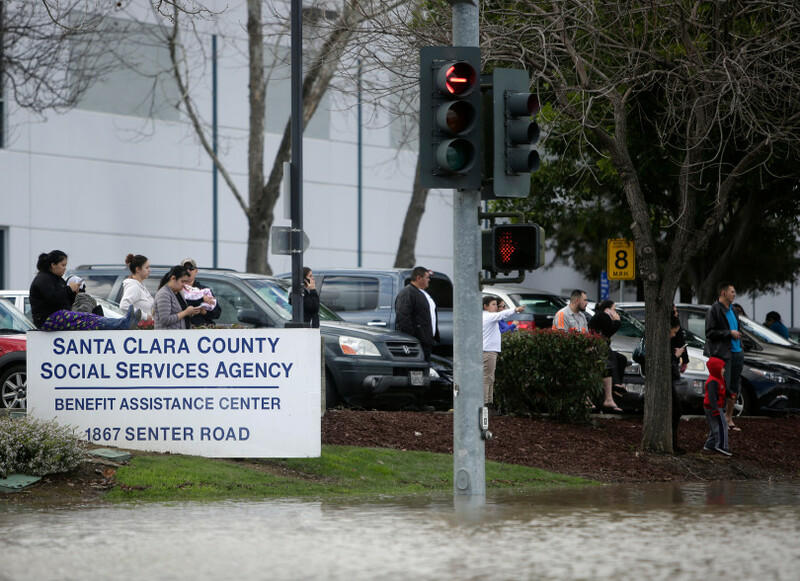 He added that the model turned out inaccurate for Coyote Creek when the water rose early Wednesday. 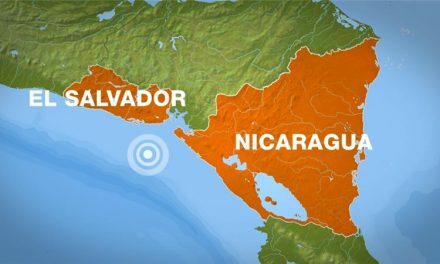 Officials say the neighborhood was not among those expected to be hit first. 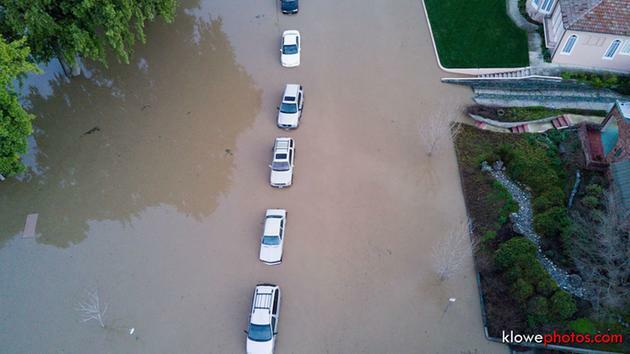 U.S. 101 was reopened Wednesday afternoon after being shut down in both directions earlier in the day south of San Francisco when floodwaters covered the lanes. 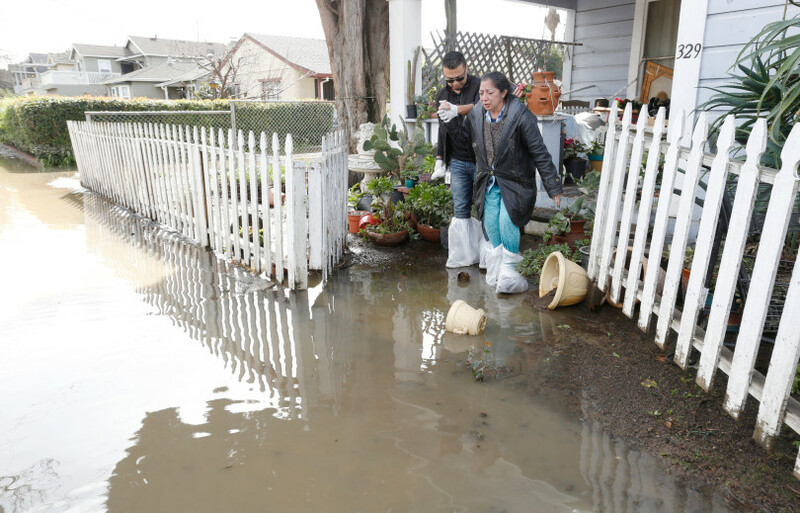 The surge of water released from Don Pedro Dam into the Tuolumne River in the foothills east of Modesto is expected to reach overtopped levees late Wednesday. 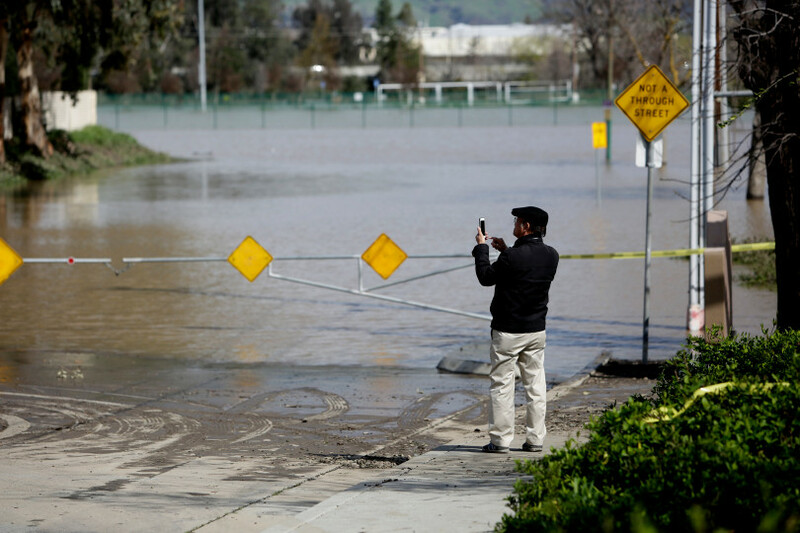 San Joaquin County Office of Emergency Services spokesman Tim Daly said the water released from Don Pedro is expected to reach its peak along a stretch near Vernalis that’s already at dangerous levels. 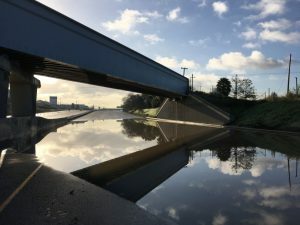 He added that the water isn’t expected to spill over the levees but will likely increase pressure on them, causing possible breaks in any weak places. 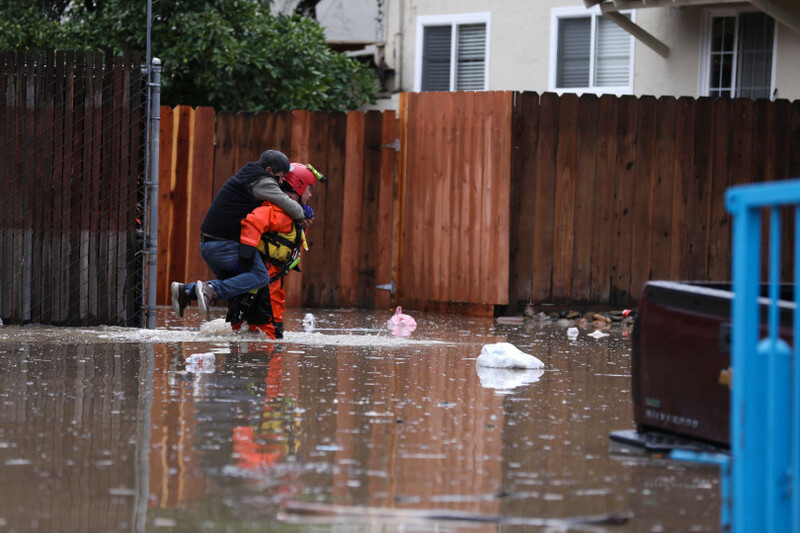 Farther West, San Jose has declared a local emergency after record flooding from the Coyote Creek submerged a neighborhood, forcing emergency crews in rescue boats to save 246 residents trapped in their homes, according to the San Jose Mercury News. 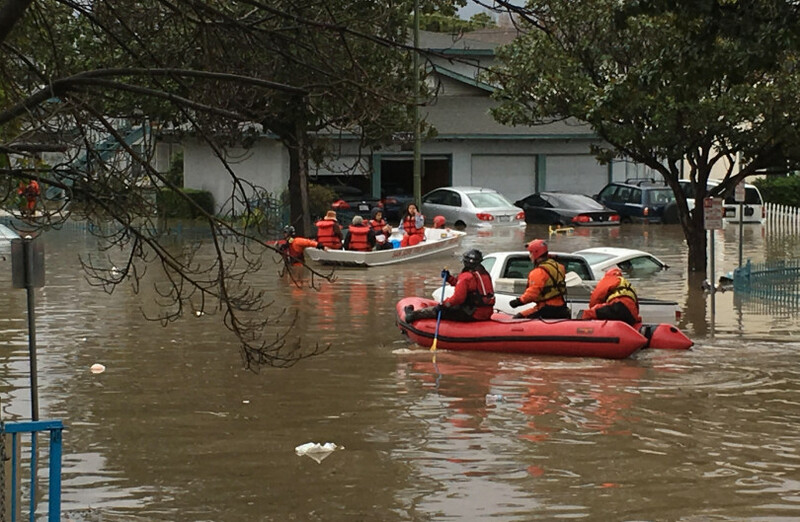 “This is the worst flooding and water-rescue situation that I personally have participated in,” San Jose Fire Department Capt. Mitch Matlow said. 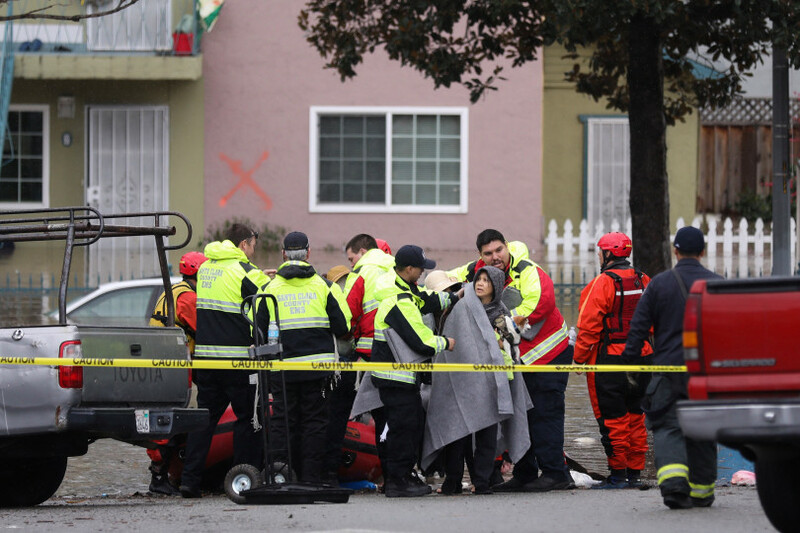 A San Jose fire official said those rescued were evacuated to a decontamination area where they were rinsed off to avoid illness from the filthy water before being taken by bus to shelters. 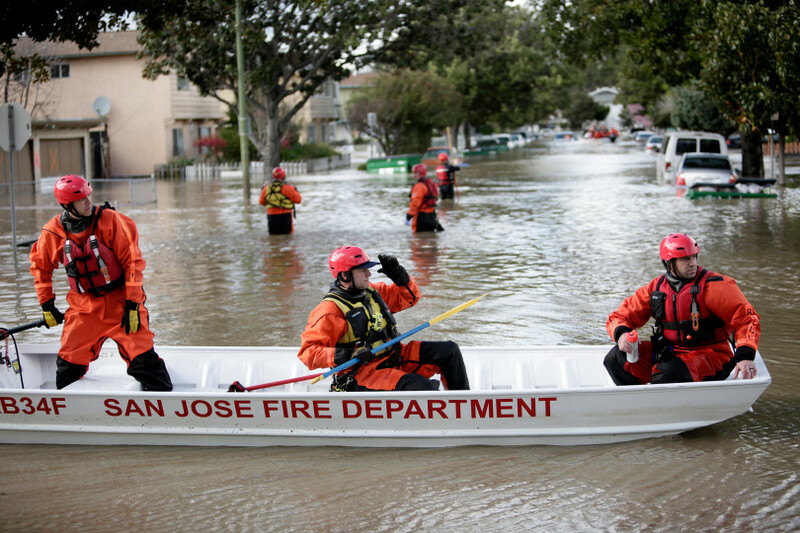 Rescuers chest-deep in water steered boats carrying residents, some with babies and pets, from the flooded neighborhood after the community was inundated by an overflowing creek. City spokesman David Vossbrink said firefighters went door-to-door to alert residents because the city does not have sirens or another emergency warning system. 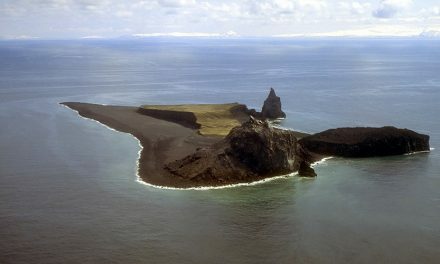 He says residents near the creek should be prepared to leave.